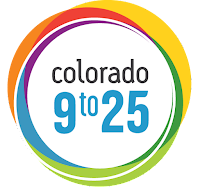 Colorado 9to25 is a collective, action-oriented statewide network of youth and adults working in partnership to align efforts to achieve positive outcomes for all youth in Colorado. It takes collaborative action to ensure that all young people ages 9-25 are safe, healthy, educated, connected and contributing. 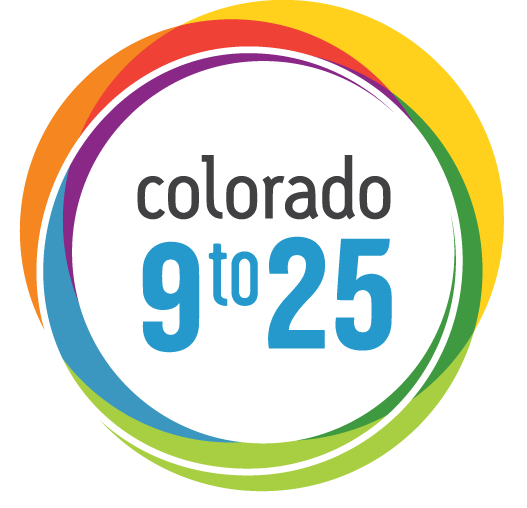 The Colorado 9to25 Council is a partnership between 30 youth and 30 adults working collaboratively to make positive changes in Colorado. The Council currently has several openings in both youth and adult positions. If you are a young person between the ages 9 to 25 and/or know of motivated youth that would be interested in applying please take a closer look at the application. Youth from all over the state are encouraged to apply. Accommodations such as housing and transportation compensation can be made to youth who will be traveling far distances to Council meetings. Below is the link to the google survey that will allow them to apply. Accepting new applications until SEPTEMBER 16, 2016. Interviews will be held on the week of September 19th through the 22nd. Orientation will be held the Tuesday afterward, September 29th. The very first Council meeting for new members will be October 8th. Please share this application with ANY young people you may know. 1. Gathering to launch or continue work (project or initiative). 2. Frames Training and Introduction to the ECCP Shared Message bank, partner usage (provided by the ECCP). 3. 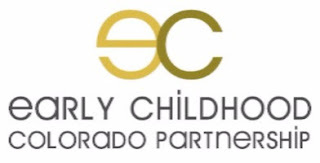 ECCP will coordinate with local public health and Children’s Hospital Colorado where appropriate. Awarded organizations must host Community Gatherings prior to March 31, 2017. The deadline to submit an application is Wednesday, September 14, 2016 by 5pm, and award notifications will be made by Friday, September 30, 2016. For more information and to apply, contact earlychildhood@civiccanopy.org. Interested in learning how to incorporate a Positive Youth Development (PYD) approach into your work? What is PYD? PYD a universal approach with a practical lens that cuts across multiple risk factors and across all levels of prevention. PYD in Colorado is an evidence-based approach that guides communities and organizations in the way that they organize services, opportunities and supports so that all youth can be engaged and reach their full potential. Register now! Find more information about PYD and a tool for incorporating the approach in your work here: PYD in Action. Questions? Email Erin Flynn (erin.flynn@state.co.us). Looking for safe sleep education materials for fathers and male caregivers? In partnership, Denver community members, Denver Prevention Training Center and Denver Public Health created Dad's on Duty, a safe sleep educational video focused on men as the primary audience. The video shows how dads can ensure that the sleeping environment for their babies is "safe for sleep" and provides information on sleep-related deaths. Watch now. Colorado Department of Public Health and Environment (CDPHE) is hiring! The Youth Substance Abuse Prevention Program implementing Communities That Care (CTC) is excited to announce that we are hiring for up to three open positions for coaches to work with communities across the state as they implement CTC with fidelity, review local data on risk and protective factors among youth, select evidence-based and evidence-informed prevention strategies, and implement and evaluate impact locally. Please apply yourself or send this posting along to professional, diverse, interested and qualified people in your networks. The post will be up for 2 weeks, but may close sooner if we have an adequate pool of qualified candidates from which to draw for interviews. Check out the posting and the application information here.